After taking home the Big East Conference Tournament trophy for the second year in a row, No. 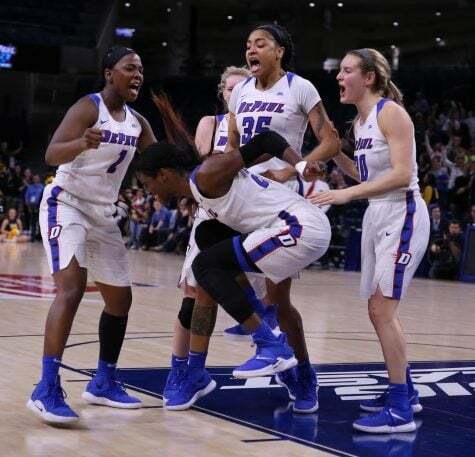 24/23 DePaul (26-7) is going dancing in the 2019 NCAA Women’s Basketball Tournament for the 17th consecutive season, and will take on the Missouri Valley Conference champion Missouri State (23-9) in the first round on Saturday at the Hilton Coliseum in Ames, Iowa. 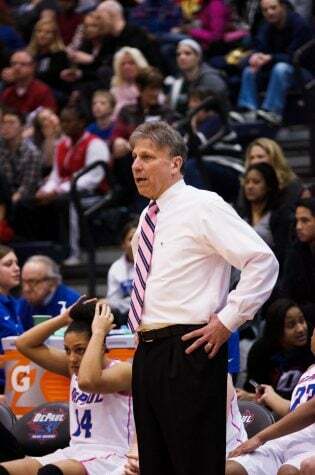 DePaul is riding an 11-game winning streak and is the No. 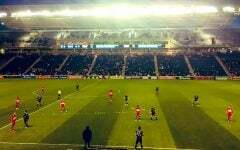 6 seed in the Chicago Region. Host team Iowa State (25-8) is the No. 3 seed and will face No. 14 New Mexico State (26-6) on Saturday, with the winners moving on to Monday’s second round game at the same venue. 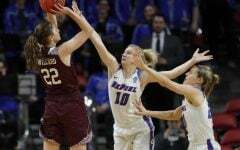 Missouri State has won six of its last seven games, including a three game sweep of all three of its opponents in the Missouri Valley Conference Tournament in Moline, Illinois from March 15-17. Danielle Gitzen, a 5-foot-10-inch guard, leads Missouri State in scoring at 12.9 points per game. DePaul is 5-0 all-time against Missouri State. 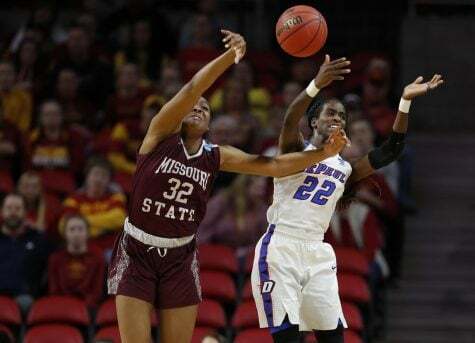 Both teams last played each other in the Preseason WNIT in Nov. 2010 on Missouri State’s home court, as DePaul won that game by a final score of 82-66. Missouri State has yet to show any rust this season while playing away from home, having won all five of its games at neutral sites. Not to mention, Missouri State averages 73.2 points per contest and out-rebounds its opponents by an average of almost nine per game. 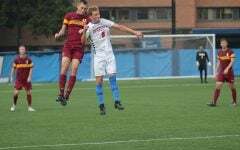 Even though Missouri State has also been peaking prior to the NCAA Tournament’s festivities, DePaul seeks to achieve even more goals. That includes being the first team in program history to win 30 games and advance beyond the Sweet 16. DePaul won a program record 29 games in both the 2013-2014 and 2010-2011 seasons and has made the Sweet 16 four times, including in 2011, 2014 and 2016. 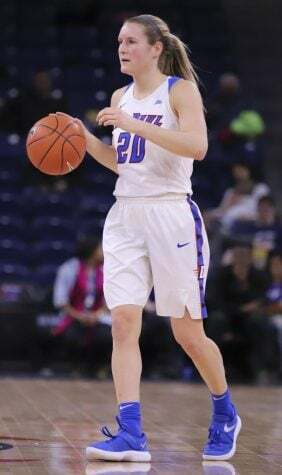 Following a rollercoaster series of games in the Big East Tournament, in which DePaul overcame a 13-point deficit to knock off top-seeded Marquette in the title game on March 12, the team has refocused over its last few practices. 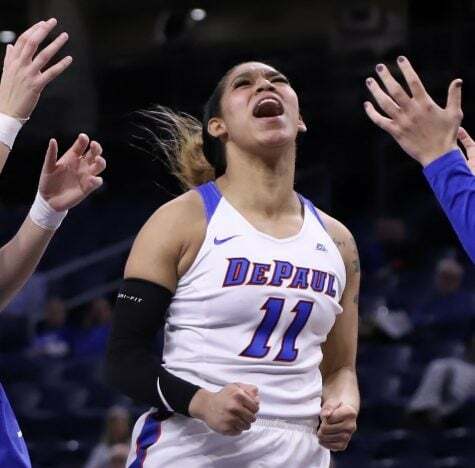 One of DePaul’s priorities has been to stay in the moment and not think too far ahead, even with the prospect of playing in the Sweet 16 at the Wintrust Arena in Chicago in front of its home fans. 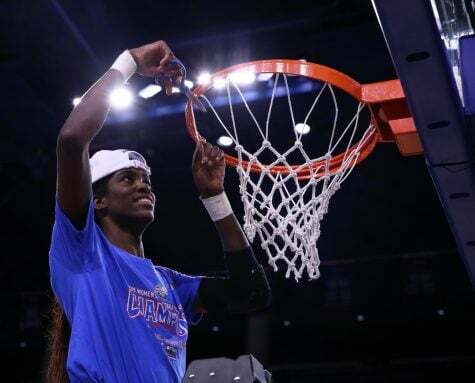 Chante Stonewall, a 6-foot-1 inch junior forward for DePaul, who was named the Most Outstanding Player of the Big East Tournament after posting 28 points in the championship, emphasized that her teammates have paid extra attention to detail when it comes to defense, rebounding and taking things one possession at a time in practice. 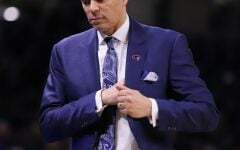 DePaul’s path to postseason play wasn’t initially as smooth as Bruno envisioned in the preseason. 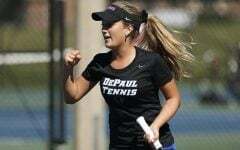 After opening the season with a 15-7 record while facing teams such as Connecticut and Notre Dame in non-conference play, DePaul opened conference play with a 1-2 record following losses versus Creighton and Marquette. 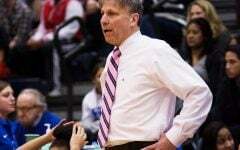 Part of what contributed to DePaul turning its season around was a result of defensive boot camps that the players endured during Tuesday’s practices. 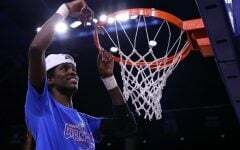 In last season’s NCAA Tournament, DePaul was the No. 5 seed in the Spokane Region in College Station, Texas and defeated No. 12 seed Oklahoma 90-79 in the first round to advance to a second-round battle against host No. 14/14 Texas A&M. 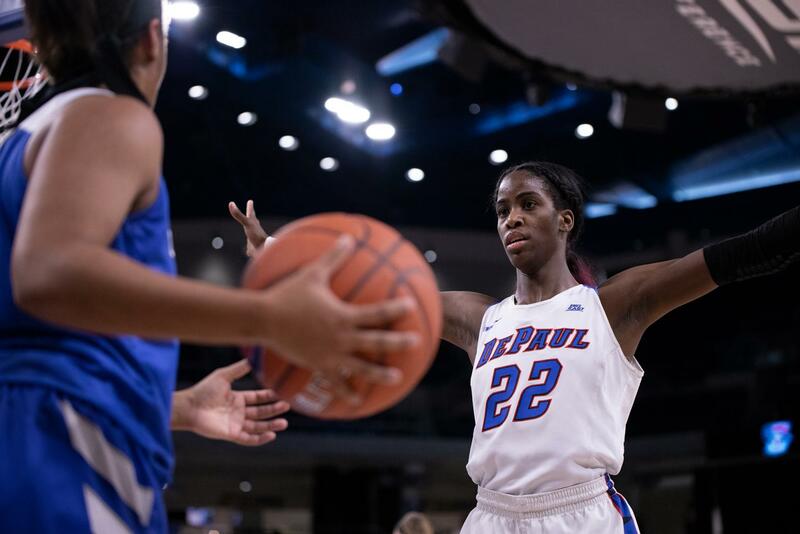 DePaul led 43-28 at halftime and held a 15-point lead at one point in the fourth quarter. 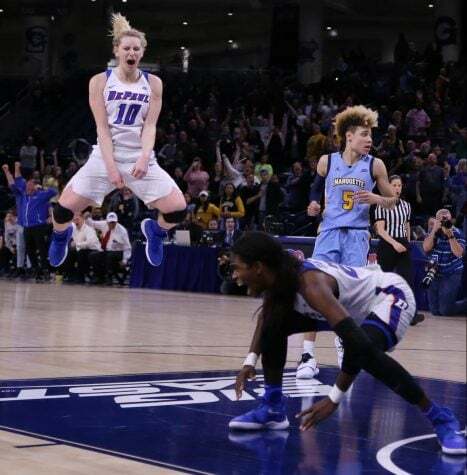 However, DePaul’s chances of advancing to the Sweet 16 crumbled when National Freshman of the Year Chennedy Carter scored 19 points, including five consecutive 3-point field goals, in the game’s final period. Carter went on to drain the game-winning shot with only 3.2 seconds remaining for Texas A&M to get the 80-79 victory. 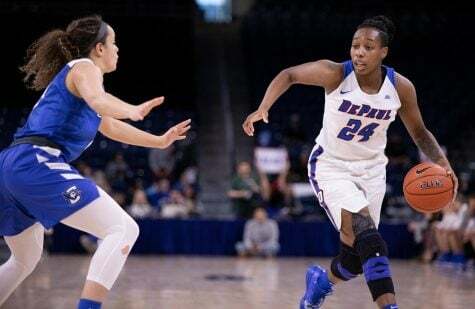 Senior guard Tanita Allen was one of five DePaul players to finish that game in double-digit scoring totals and recorded a team-high 19 points. 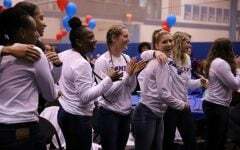 This time around, DePaul is looking to rebound from last year’s upsetting finish in the Lone Star state. The only other four teams in the nation besides DePaul to appear in the past 17 NCAA Tournaments are Notre Dame, Tennessee, Connecticut and Stanford. Saturday’s game is set to tip-off at 2:30 p.m. CT on ESPN2.